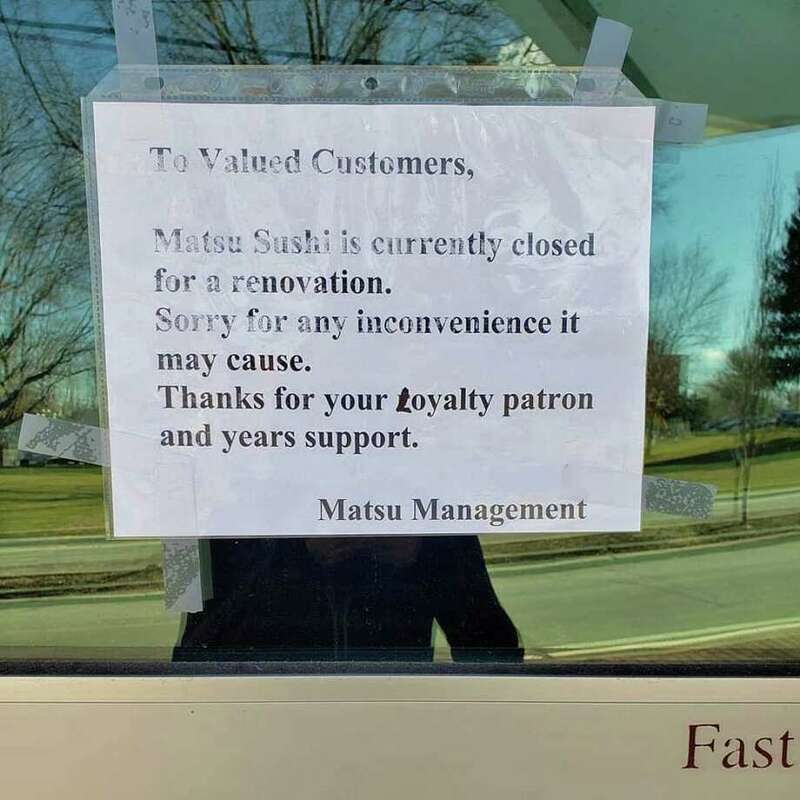 WESTPORT — A sign on the door of Matsu Sushi on Monday said the restaurant is closed for renovations, though some patrons reported last night to news blog 06880 they were told the business would be shut for good. “Matsu Sushi is currently closed for a renovation. Sorry for any inconvenience it may cause. Thanks for your loyalty patron and years support,” the notice from management read. The eatery has been the subject of controversy in the past year, after the National Labor Relations Board issued an official complaint against Matsu for firing two chefs when they refused to work a 36-hour shift. A judge ruled in October that the restaurant had illegally fired Liguo Ding and Jianming Jiang, and ordered them immediately reinstated. What followed were several protests outside the restaurant, as Matsu has yet to restore the workers to their old positions.